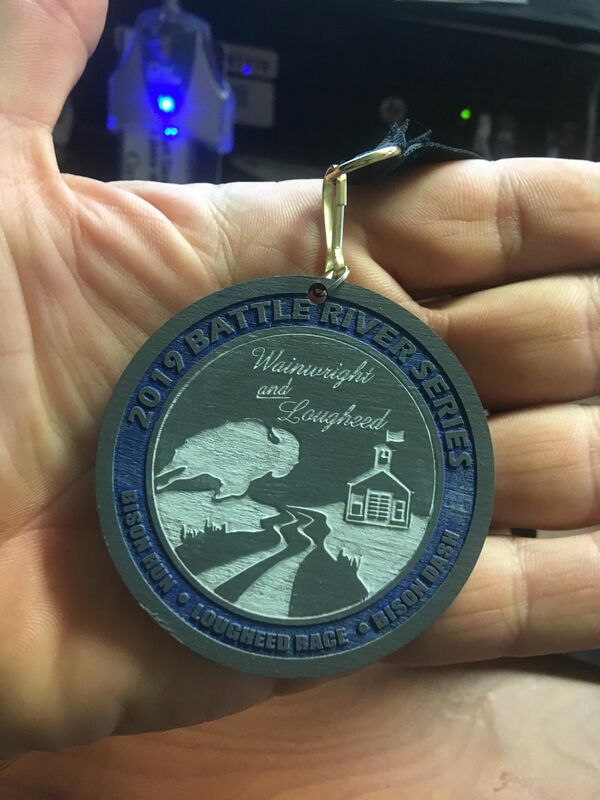 Register and run in all three races and earn a Battle River Series Medal. This year volunteers can also earn a Series medal. Example run in two events and volunteer for one event. If you are a volunteer register on the event page. Wainwright Runners Club members receive a $5 DISCOUNT on the Bison Run and Bison Dash. To take advantage of the discount, members must register in each individual event below. To do this choose the small blue REGISTER button below the title of each event. You will be asked for your membership ID number. Once submitted your discount will be applied. How do I become a member of Wainwright Runners Club? OR register in each individual event below. Choose the small blue REGISTER button below the title of each event. When you register for the 1st event, the Bison Run, you will have the option to become a member. (Membership costs $10 for individuals and $20 for the family.) You will be given a membership ID. Complete your registration and then register in the following two events. When registering for the Bison Run and Bison Dash you will be prompted for your membership ID number. Once submitted your discount will be applied.